Toluna is an online survey company with offices in the USA, France, Great Britain, Germany, Spain, Israel, Canada, Australia, Japan and India. Founded in the year 2000 by Frederic Charles Petit, Toluna has acquired several companies and currently has more than eight hundred employees around the world. Its user base has more than four million members registered. Participation includes Oceana, Europe, Asia and North America. Once you sign on and complete the 1st interest survey you immediately get 2000 points. Rewards are cash drawings once a month, gift cards and cash rewards. Once you earn sixty thousand points equivalent to $20 you can redeem your cash. It is a large company with more than 4 million registered members. Registration and participation are free. Payment is made when the survey is completed. The amount can be a few cents or more than a dollar, sometimes even more. There is a cash sweepstake every month of about $4500. Pre-Qualification surveys are offered to every person applying for registration. 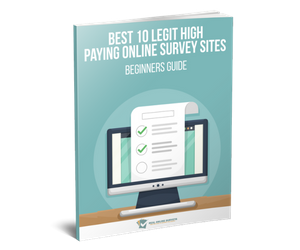 This has the advantage of offering the clients the right respondents for their surveys. Invitations to take a survey are sent to your email as well as via website. The website carries tutorials that are very helpful and informative to those taking the surveys. If the cash payout is very small the company provides other gifts such as MP3 songs instead. Before points can be credited to the survey participants the number of correct responses must be reached, the client needs to review and make the necessary confirmations to Toluna and the Quality control team must finish their process. Sometimes you can complete a survey and then get screened out or disqualified after you have taken the survey. It becomes a waste of your time since there is no payment. Your points expire after a year so if not cashed out before that you lose them and your money too. Minimum payout is after 60,000 points which is $20. Many consider it very high. Each survey usually takes twenty five minutes and in order to reach the 60,000 point minimum you have to fill out 12.5 hours of surveys. It takes 30 surveys to get to the minimum. There are lengthy delays which sometimes result in the expiration of points. There are also delays in the processing of vouchers and payments of up to 2 months. There are also login problems that block out members from time to time. Step #1: Visit their official site. Enter your email, date of birth, and other personal information. You must be at least 18 years old to participate. Membership is completely FREE! Please note: Many members suggest making your profile on Toluna as detailed as possible. 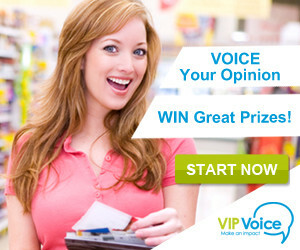 This ensures you receive relevant surveys and the best rewards when offering your opinion.